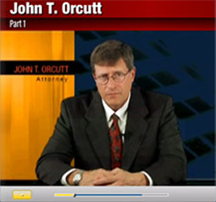 The Law Offices of John T. Orcutt has been serving North Carolina since 1987. Since then, our law practice has spread through central and eastern North Carolina. Although we do not have offices in every city, we do have offices in Raleigh, Durham, Fayetteville, Wilson, Greensboro, Garner or Wilmington which serve the surrounding counties and cities closet to those locations. Feel free to to click on a particular city or county that you reside in and take in some local history from it as well as directions to one of our offices for your consumer bankruptcy needs.